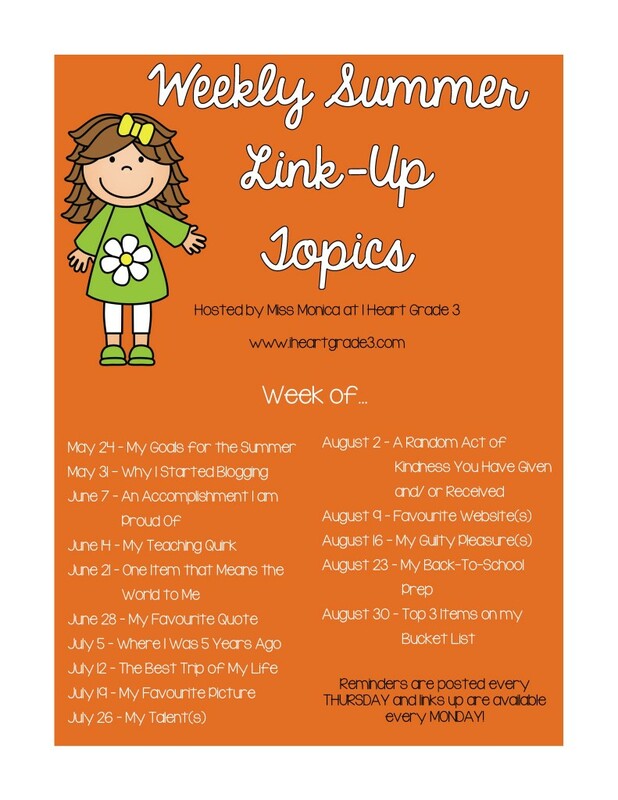 I am linking up again with Miss Monica at I Heart Grade 3 for her summer link up. I have a lot of link ups happening right now. Like 4 this week if I get to everything on my to do list. Yikes!! Link ups are so much fun and an easy way to connect with others. This week's topic is Why I Started Blogging. Well, this is all sort of new to me. I've been blogging for a little less than a year on this blog. I didn't know about the world of teacher blogs when I was in the classroom. Pinterest was just becoming popular but I was only using it for recipes and ideas around the house. I must have lived under a rock! I had no idea this world of teachers existed. I always joke that I want a do over wedding now that Pinterest is a thing. Well, some days I want a do over in the classroom now that Pinterest is a thing. 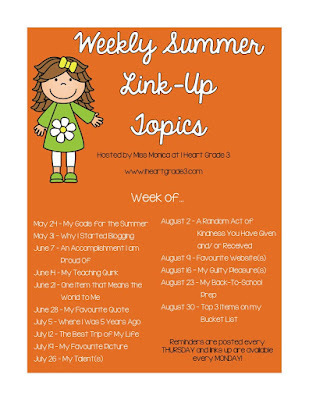 I want to have super cute color coordinated things in my classroom that I can blog about. Oh well, that's not going to happen but back to why I started blogging. After my oldest daughter (3) was born, I discovered TpT through Pinterest. The more I learned about it, the more I wanted to get involved. I got busy on my store and creating products. I started adding more social media to my plate to help market my products. 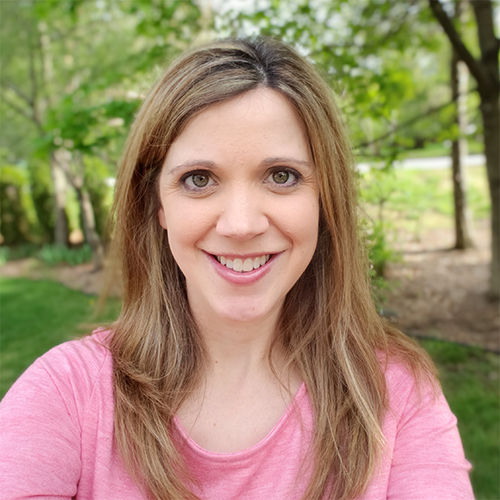 I wanted to add a blog to the mix because I felt like I was missing out on all the fun link ups and connecting with other bloggers. I also wanted a place to share my ideas and resources. I was worried when I first started the blog that I wouldn't have anything to write about. Remember I taught in the prePinterest era, where I wasn't taking pictures of my classroom and I was often hiding my smartphone under my desk in case administration or a parent walked into my room. So I have no pictures from the 7 years I spent teaching. I started a family blog when K was a baby but that is mostly pictures of the girls and things we do for family that is far away to read. I know I have content for that. But a teaching blog was a whole different thing. So I decided that I needed to be authentic and I needed to blog what I know. That means that this blog is a little bit of everything - teaching, resources, link ups, mommy, crafts, DIY, faith, family....in other words ME. And I haven't had a shortage of ideas like I thought. A shortage of time perhaps to get all of those ideas typed out into blog posts but I guess that is a good problem to have. It's crazy how much of a catalyst Pinterest has been for a lot of us bloggers! It opened up a whole new world to me when I discovered it!